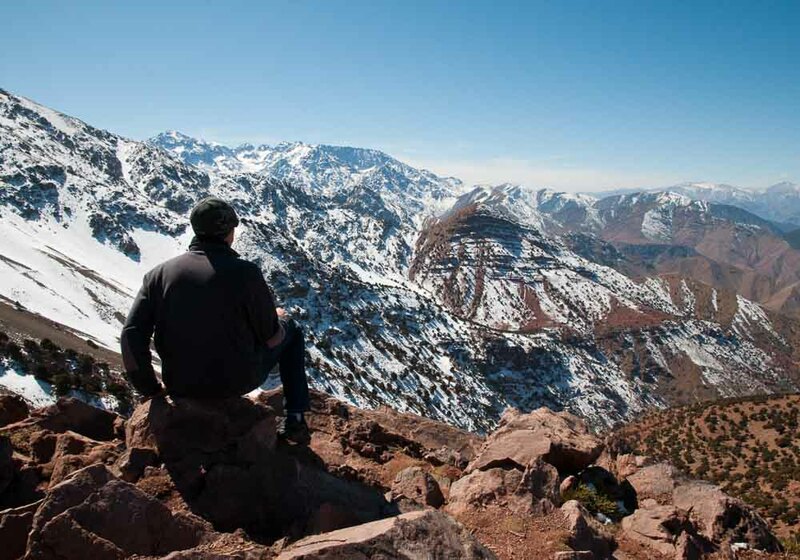 The Atlas Mountains are one of Morocco’s best-known features, but did you know they are divided into three sub-ranges? Each has its own characteristics, and they are all great destinations for walking and trekking, whether you want to spend a day in the foothills or a full week’s holiday exploring these stupendous landscapes. 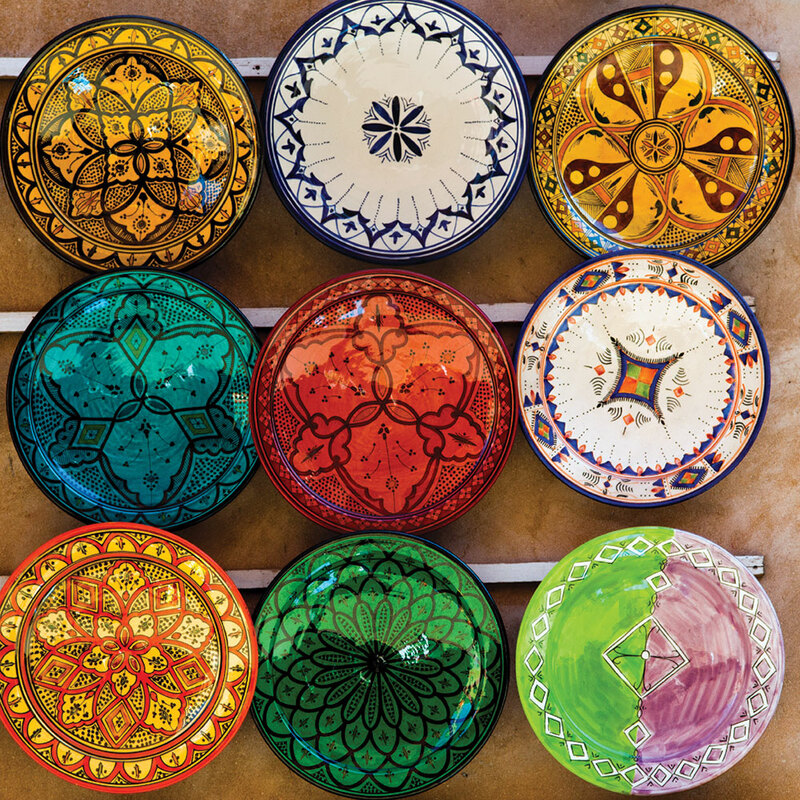 The Middle Atlas Mountains lie just south of Fez and Meknes and run towards Marrakech. The Middle Atlas is the most fertile of the ranges, and is covered with forest of oak and cedar, interspersed with many lakes. It is also home to a wide range of wildlife including wild boars, golden jackal, servals, Barbary macaques and various bird species. Several peaks reach over 3,000 m, with the highest peak at Jebel Bou Naceur (3,340 m). The Northern Middle Atlas, accessible from Fez and Meknes, has numerous Berber towns such as Bhalil, Sefrou and Azrou, and many travel agencies arrange treks in the area. Ifrane, the most popular destination of the region, is known for its cooler summer climate and its Alpine-style village. It’s one of just a handful of ski resorts in Africa and many Moroccans holiday here for the snow sport opportunities. The Southern Middle Atlas, accessible from Marrakech, is known for the Cascades d’Ouzoud, which are often thought of as the most beautiful waterfalls in Morocco. The recently designated M’Goun Geopark is also in this region, and it contains a wealth of features to interest geologists, including dinosaur footprints, natural pyramids and arches. The river leading to the highly scenic Bin El Ouidane reservoir lake is the ideal spot for white water rafting especially between March and early May when the thaw from the mountains raises the level of the river. It’s easy to reach the Middle Atlas from both Fez and Meknes, taking around 1 hour to reach the northern foothills. From Marrakech it’s around 2.5 hours to reach the southern section of the mountains. Strike out on your own or take a guided tour with an experienced company. Located in the southwest of Morocco, these peaks rise from Agadir and extend all the way to Ouarzazate. The Anti-Atlas Mountains stretch for more than 180 miles, ranging from the Atlantic beaches in the west to the desert in the east. The main cities that serve as jumping-off points for mountain exploration are Taraoudant, Tafraoute and Tiznit. There are a host of trekking routes in the region, taking you across rugged landscapes interspersed with lush valleys and oases. Travelling the roads between the cities, you can expect to see traditional Berber villages, old Kasbahs and impressive rock formations like the Lion’s Head on your travels. Popular treks near Tafraoute include Jebel Siroua and, perhaps the most popular, Jebel Lekst, a famous purple mountain. What you won’t see are hordes of people – instead you’ll enjoy peace and tranquillity away from the crowds and busyness of every day life. Spring is a particularly nice time to visit, when the slopes are shaded pink and white with blossom from groves of almond trees. Advanced hikers can take multi-day journeys, stopping at Berber villages along the way, or you can keep it as simple as enjoying strolls in the foothills, taking in the scenery and clean mountain air. Other ways to enjoy the region include horseback riding, white-water rafting, mountain biking and birdwatching. Fly direct to Agadir and begin at the western end of the chain. Alternatively, a flight from UK via Casablanca to Ouarzazate or, a coach or a shared taxi from Marrakech will take you to Ouarzazate, where you can start exploring from the centre of the range. A short distance south of Marrakech, running for hundreds of miles from the Atlantic Ocean to the east of the country. The High Atlas range is the most famous of the three, with many peaks exceeding 3660m. It has the highest and most impressive peak in North Africa, Mount Toubkal, which reaches 4,167m. Snow covers the upper slopes for half the year, allowing you to enjoy winter sports at the Oukaimeden resort. Lower down, rivers and waterfalls stream towards Marrakech, creating startlingly lush green valleys full of fruit trees and wildflowers. Mount Toubkal and the Toubkal National Park are popular destinations for many, while going further east takes you further off the beaten track to more dramatic rock formations and remote villages. Trekking in the opposite direction will also take you off the tourist trail, into a part of the range that is gentler, but no less scenic. 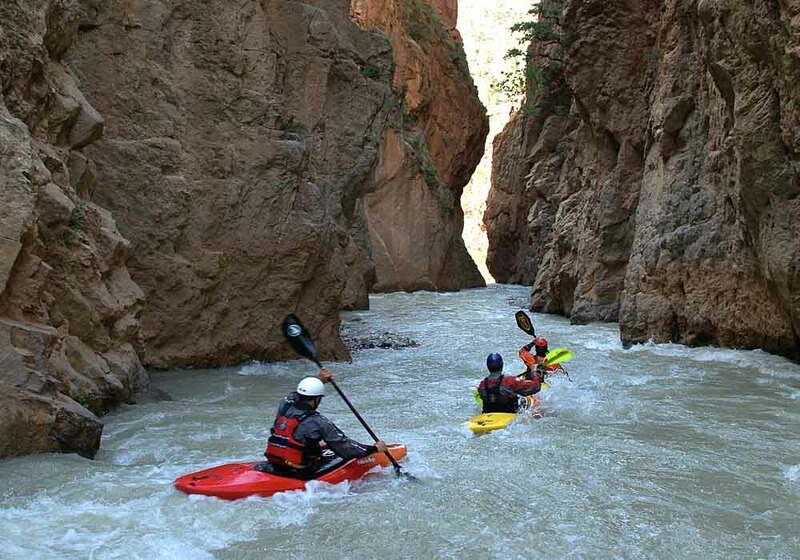 Popular activities in the High Atlas include mountain biking, walking, hiking, rock climbing, mountaineering, white water canoeing, peak-bagging and trekking, either on foot or on mules. Visiting Berber villages and experiencing life as a local is a popular activity, allowing you to gain in-depth knowledge of the Berber living in Morocco’s magnificent High Atlas. With over thirty direct flights a week from the UK and Ireland to Marrakech, getting to the High Atlas Mountains is simple, and you will find plenty of companies willing to help you make your trip.